Saturday April 13, 2019-Newly appointed Education CS Prof George Magoha appears to have a full tray, going by the high responsibilities his bosses have placed on him. 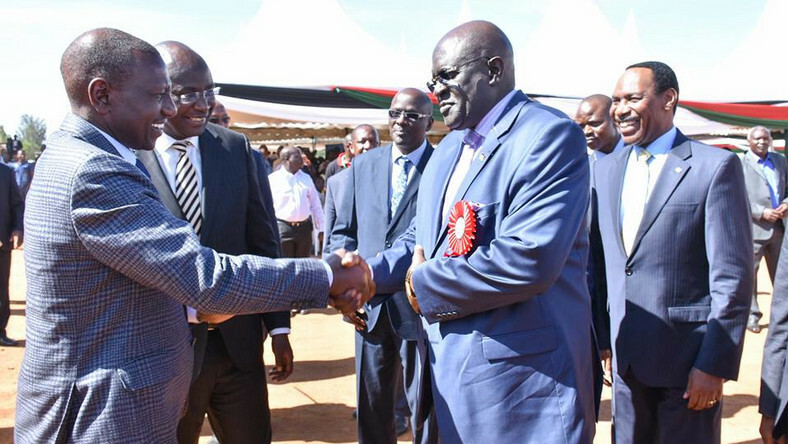 A day after an international trip to Mauritius where he accompanies President Uhuru Kenyatta, Magoha was on Friday tasked with the role of coming up with a film promotion policy within 30 days. Speaking during the Sixtieth Edition Kenya National Drama and Film Festival held at Kibabii University, Deputy President William Ruto directed Magoha to work with his ICT counterpart to ensure come up with a policy that will harness talent from local schools and incorporate them into the local film industry. “Why are we exporting great opportunities to other countries with the kind of talents we see? Ladies and gentlemen we have to fix this and do so as a matter of agency. The entertainment industry has the potential to employ between 300,000 to 500,000 Kenyans,” Ruto stated.